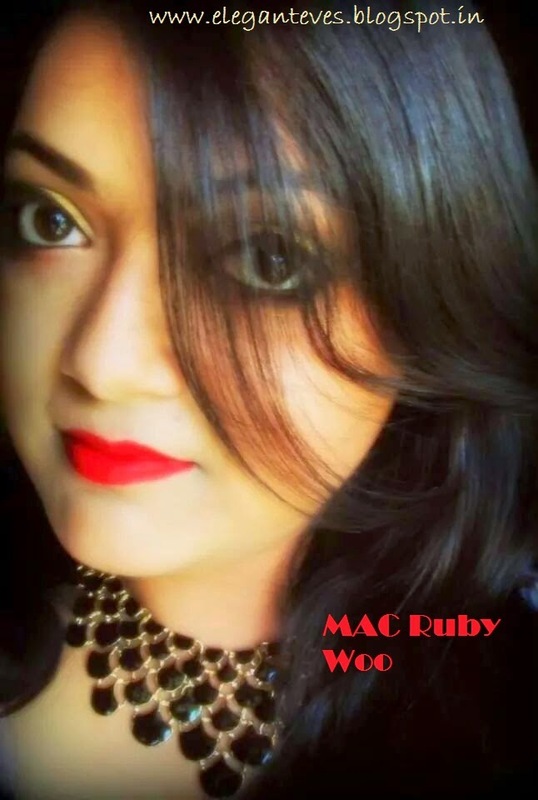 MAC describes Ruby Woo as a “very matte vivid blue red“. 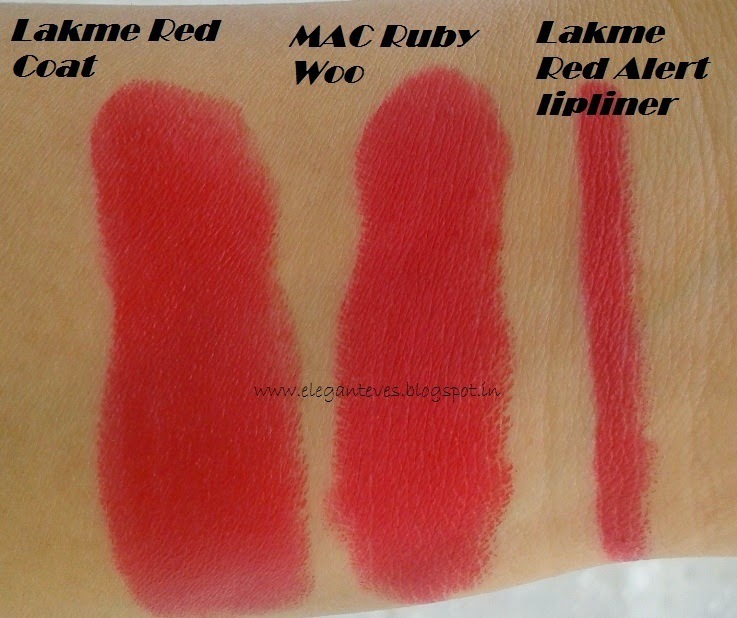 It falls under the Retro Matte range and true to its name it is a completely matte and intense true red lipstick. 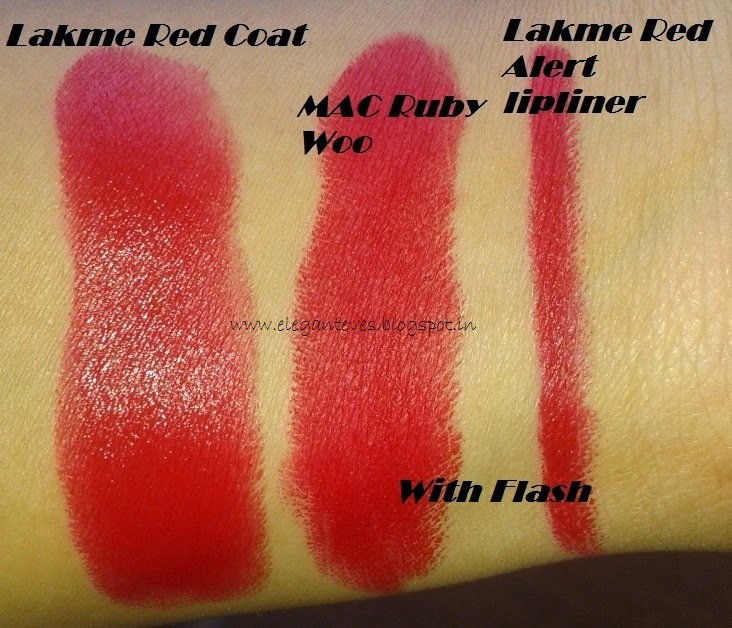 Lakme does not describe individual shades like MAC does but the entire range is described as follows: Lakme Nine to Five brings you a range of shades that sit on your lips all day long. 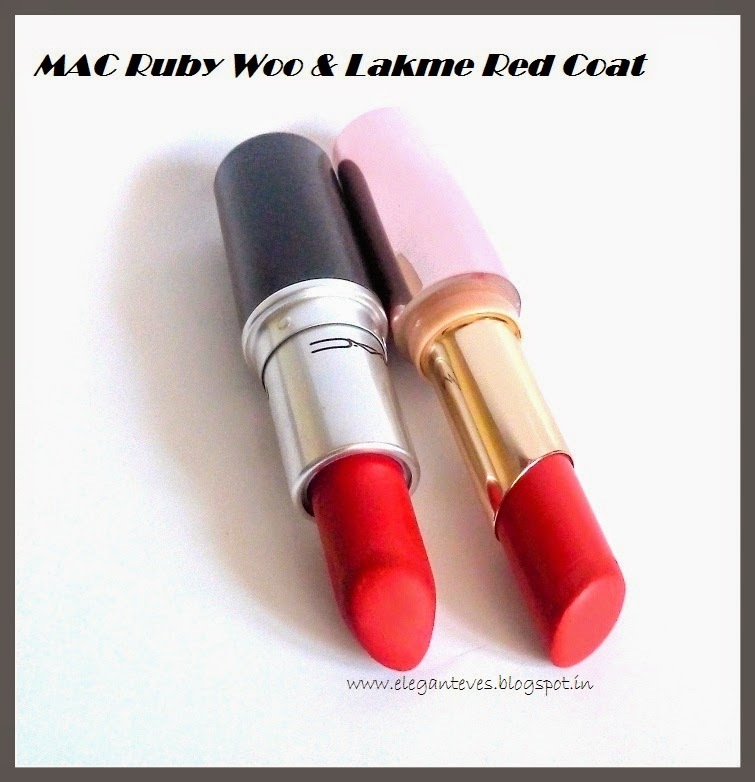 Enriched with Vitamin E; it conditions your lips & softens them with wheat germ oil. So, perk those soft, smooth lips with a touch of matte. The shade Red Coat is an intense warm red. 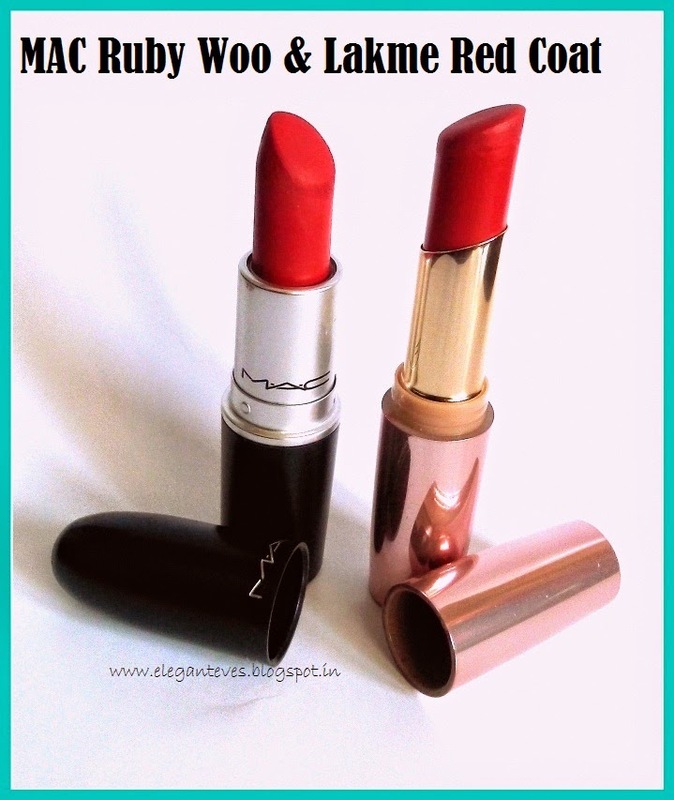 Complete matte and can be unflattering on dry lips. 7-8 hours without fading. 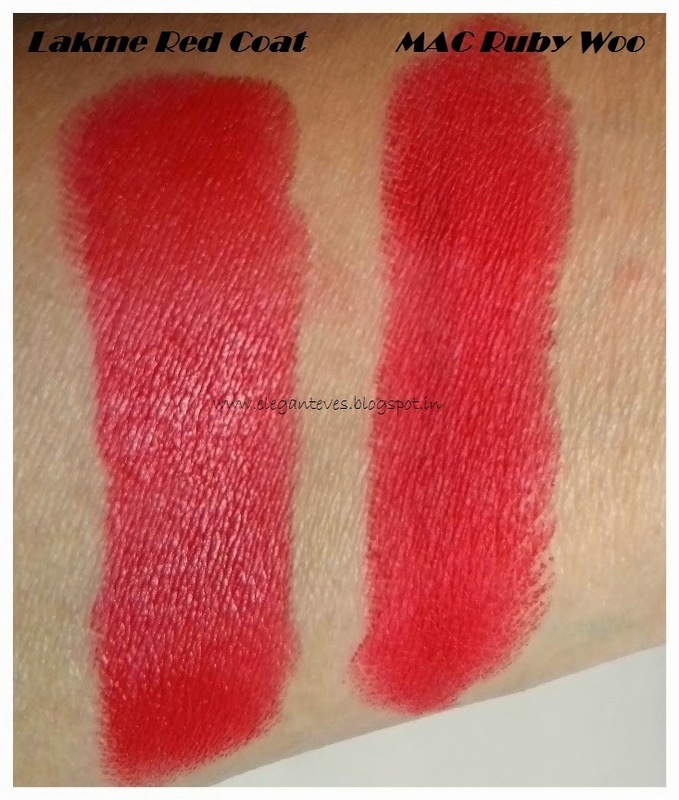 Longer when applied over a red lip liner. 4-5 hours with slight fading. Can survive meals with little bit fading. 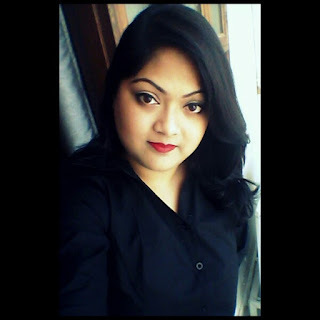 Red lipstick first-timers who would like to get habituated to the shade before spending too much on one lipstick. 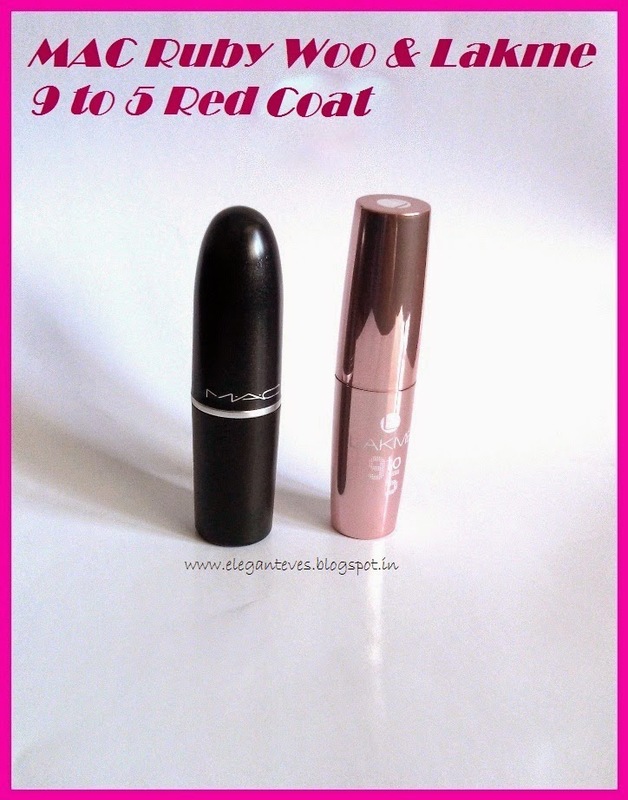 This is also good for touch-ups because it applies with ease. Oops, I guess I missed one point here! 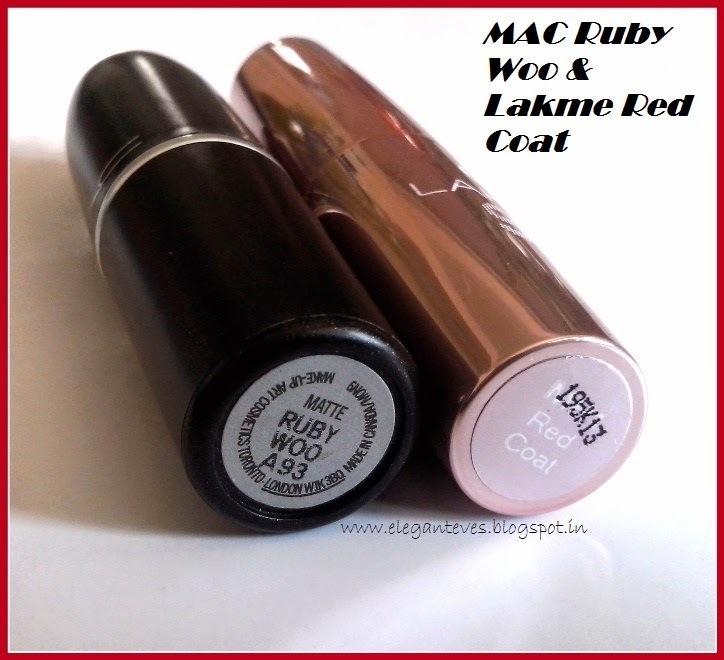 MAC lipsticks comes in classic black lipstick body with tiny silver shimmers which screams “CLASS” and Lakme Red Coat comes in uber luxuriant rose-gold metallic lipstick body (Sigh!) 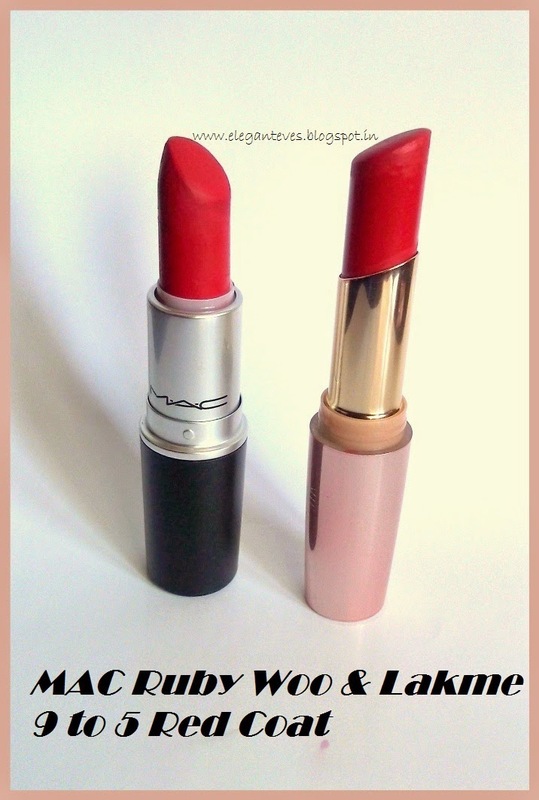 Love both packaging equally!